With summer in full swing, your gardenmay seem disappointing, as the only things that seem to grow in the sweltering heat of the sun are petunias and marigolds. Yet your garden doesn’t need to be subjected to this limitation of color. There are a surprising number of flowers you can bring to bloom even during the dog days. In the United States, 80% of people admit that they’re made happy by receiving flowers. Make yourself happy with these following summer blooms before you resolve your garden to a static color scheme for the rest of the season. Black-eyed Susans are great for summer growth because they’re surprisingly tolerant of drought and can manage in soil that isn’t particularly rich in nutrients. They also come in a variety of colors and begin to bloom by midsummer. Therefore, if you’re looking for low-maintenance and colorful perennials that will survive in your garden for months into the autumn, the Black-eyed Susan is your flower. Bee Balm also come in a variety of colors including lavender, white, red, and pink. If your climate isn’t one for a lot of sun during the summer months, these flowers will still do well in your garden. Keep your Bee Balms moist and they should last you through the summer months. Nasturtium is a great flower to add to your garden for a splash of vibrant red, orange, and yellow between the summer and winter months. In some cases, they can grow alongside your grass, but for the most part, Nasturtiums do best in pots and containers, complimenting your home’s landscape. Gaura is a great flower for your garden if your summer’s hot weather is one for the books. Gaura can bloom in full sun and tough soil and is, like the Black-eyed Susan, fairly accustomed to drought. They’re deep-rooted and can easily battle against weeds for resources. Perhaps you don’t have a naturally green thumb. That’s okay! You can always visit your local florist to pick up an arrangement of colorful bouquets or beautifully arranged flower baskets for your front porch or back patio. You don’t have to be an avid gardener to enjoy the wonders of nature this summer. 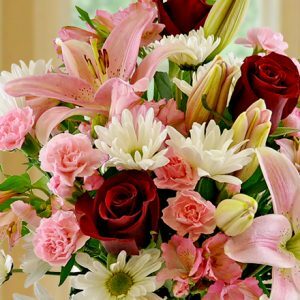 For more information regarding summer flowers and best bouquet choices, contact your local florist in Chantilly VA at Open Blooms!